It’s the birth date of Carol Ryrie Brink (1895–1981), Caddie Woodlawn; Emily Neville (1919–1997), It’s Like This, Cat. In 1612, Galileo Galilei becomes the first astronomer to observe the planet Neptune, although he mistakenly catalogued it as a fixed star. Read Starry Messenger by Peter Sis and Galileo: The Genius Who Faced the Inquisition by Philip Steele. Happy birthday Iowa, the 29th U.S. state as of 1846. In 1895, the Lumière brothers held the first motion picture screening for a paying audience in Paris. The presentation featured ten short films, marking the debut of the cinema. The Lumière brothers influenced Georges Méliès, who inspired Brian Selznik to write The Invention of Hugo Cabret. On December 28, 1732, the first issue of Poor Richard’s Almanack was advertised in the Pennsylvania Gazette. Published from 1733–1758, this brainchild of Benjamin Franklin has been imitated and copied many times. Franklin, like so many of the Founding Fathers, was a Renaissance man—inventor, printer, ambassador, and the delight of the French ladies. He has been the focus of countless biographies for adults, and one slightly irreverent one for young people. 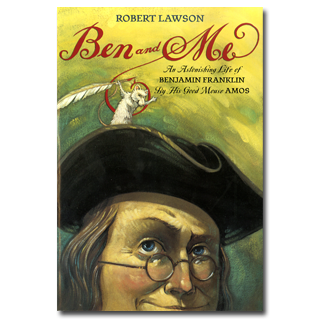 In Robert Lawson’s Ben and Me, we see the great man from the point of view of the mouse, who resides in his fur hat. In the book Lawson claims to have discovered an old manuscript, lodged in a secretary desk, where Amos “with pen in paw” sets the record straight about Franklin—a man who could be overenthusiastic about himself. 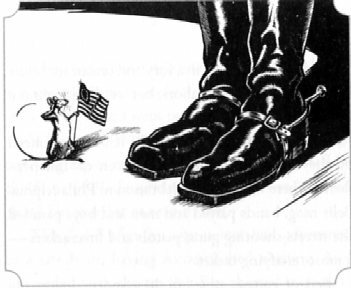 In this story the Revolution and its heroes get examined from a mouse-eyed view. Of all the figures, Amos prefers Washington: “Not only was he a magnificent figure of a man and a soldier, but the wheat grown at Mount Vernon was of a superb quality.” While he spins his tale, Amos educates readers about Philadelphia, printing presses, electricity, Franklin stoves, and the tendency of the Founding Fathers to spend excessive time in committees. Of course during these stirring times I came in contact with all the great men of the Colonies. The one who impressed me most was, naturally, General George Washington.Not only was he a magnificent figure of a man and soldier, but the wheat grown at Mount Vernon was of a superb quality. Here were always a few grains to be found in his boot-tops and pocket flaps. Quite a few crumbs too, so I always looked forward to seeing him. Originally posted December 28, 2010. Updated for . I was googling around for information about Emily Neville and stumbled across your blog. I will definitely be stopping by here frequently for your thoughts on other children’s classics. My first aproach to the story was from the Disney movie adaptation. I read this one right after the first review, and didn’t get back to reviewing it then. When I started the book, I was a bit skeptical about a mouse representing for children, one of my favorite figures in history, but I loved Rabbit Hill by Lawson so I read it. I loved the book. The art and the story were great fun. I laughed out loud a number of times during the readings, and that, is a good sign. Another positive sign is that I’ve read Franklin, and serious work about him, for a good long while now, and I felt completely comfortable with this story line. A very fine book indeed. Thanks for this, Anita! This book was very important to me. I remember reading it as a child (many times) and the utter delight I felt at this clever concept so well executed. It stayed in my heart lo these many years and was one of several books, including Mrs. Piggle-Wiggle and Stuart Little, that probably inspired the Humphrey books. I really love that book! Another book to go on the Also Recommended list…the same author’s Mr Revere and I. Same basic idea, but this time the story of Paul Revere and the events leading up to and including the famous ride from the point of view of his horse (who had started out as one of the horses of the British occupiers of Boston). Every bit as delightful as Ben and Me!